Judge Haywood Gilliam blocked the rules, which were set to go into effect on Monday, in California, Washington, D.C., and 12 other states. Gilliam granted a request for a preliminary injunction from those states, but limited the ban’s scope to only the case’s plaintiffs. 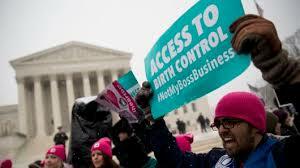 California Attorney General Xavier Becerra (D) at the end of December asked Gilliam to block the rules, which would allow more exemptions to ObamaCare’s contraception mandate. Gilliam on Friday said a “substantial number” of women would lose birth control coverage under the Trump administration rules. A confused government on the rampage. It is more about populism as opposed to logical thinking.